I suddenly had the urge to do a speed test just to know how my data connection is doing right now. 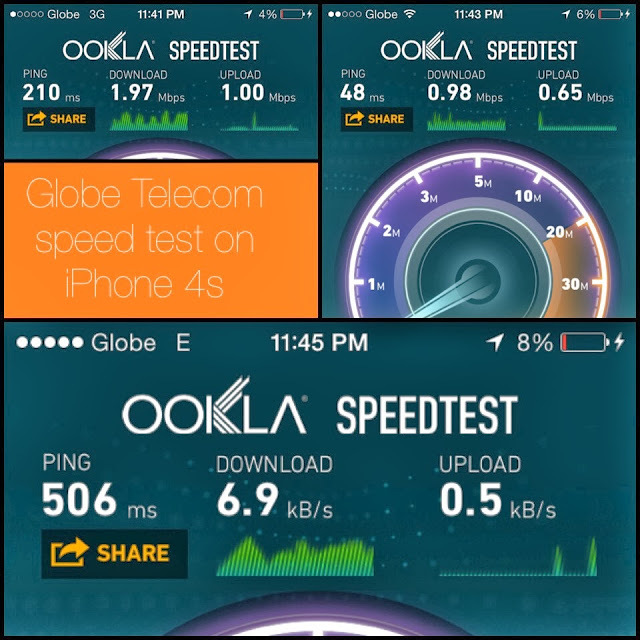 Just to give you an idea about the test,I'm using an iPhone 4s subscribe to iPhone plan 1799 and is currently located at Quezon City. Look at the inage below, my 3g connection today is around 1.97mb. Fair enough... But believe me I used to be getting up to 5mbps. Dont know what happened. 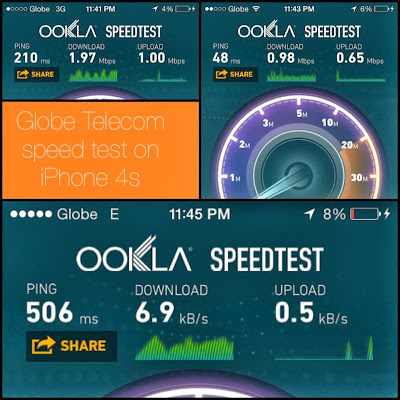 Compatrd to my BayanDSL connection (wired) which has max 1mbps, my 3g is a lot faster. Dont bother with edge, 6.9kbps?! Imagine the speed of gprs connection if Edge is just getting a 6.9kBps. Goodluck!! How about you? How is your connection?